I found an article about making the Infinity markers more durable and decided to give this a try. 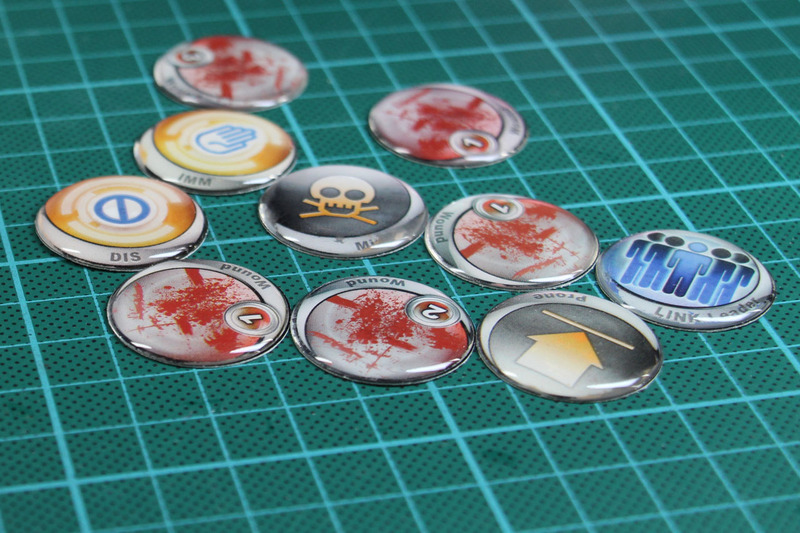 The technique can be used, for any kind of round markers, no matter if you use the infinity markers from the boxes or print them out yourself. What do you need? These tools can be found around the scrap booking supplies. You need a punch tool, those are available in different sizes, i find the 25mm or roughly an inch sized ones quite handy. 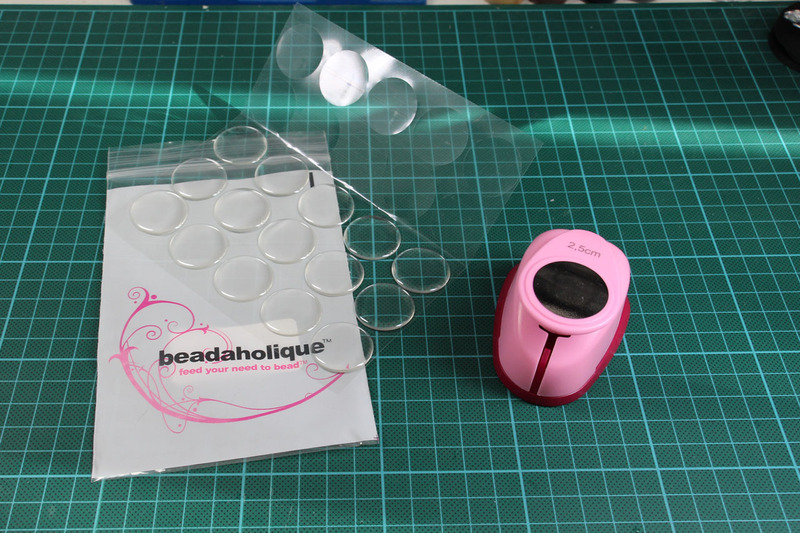 There are matching epoxy stickers, which can be found in different sizes and forms. I went with the matching 25mm round ones. First you punch out the markers with the incredible manly tool, the pink punch. Just make sure that the motiv is centered and hit it. The tool can be used with sturdy, heavy card board and makes precise and fast round markers. The next step is pretty easy, you glue the stickers on top and let them settle. 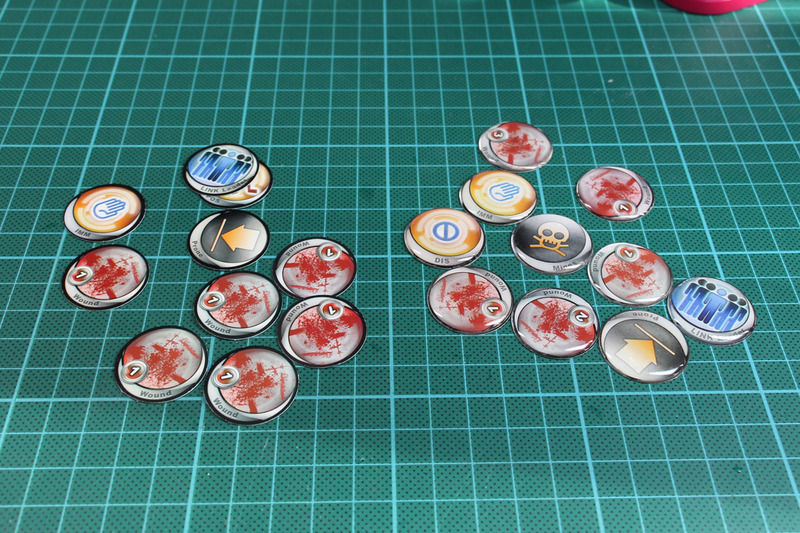 There you go and have some sturdy and more durable markers for gaming. I am thinking about doing some markers for Bolt Action and Necromunda / I-Munda, to keep track of conditions and pins. About the costs, the tool is roughly 6 Euros and the stickers can be bought in sets of 25 up to 200, and cost 0,10-0,15 Euro each.